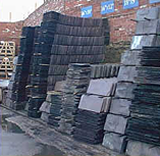 Burlington Grey Slate Prices - Burlington Slate Prices. 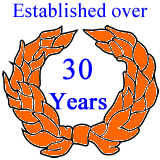 Family run business with over 30 Years experience supplying Burlington Grey Slate. 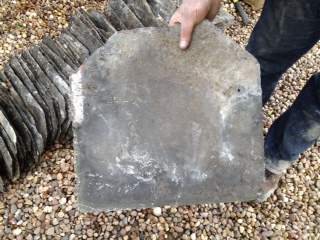 Reclaimed Burlington Grey Slate is sold at approximatey £750.00 per tonne or £47.00 per m² approx. ( Please use price as a guide as supply and demand fluctuates the price ). An individual Reclaimed Burlington Grey slate price, is between £5.00 and £50.00 per Slate. 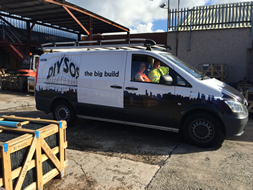 All slate prices are + VAT, and are collected prices from our depot in Ashton - Under - Lyne ( Manchester ). Burlington Grey Slate, approximate Coverage is 16 m² Per tonne. 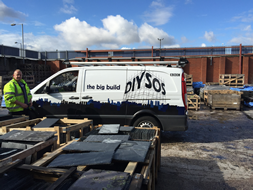 Only the best quality Burlington Slates supplied, at the best Burlington Slate prices. See also Emerald Green Natural Roofing Slate. Burlington Grey Cumbrian Roof Slate. The Bitterness of Poor Quality Burlington Slates, Remains long after the Sweetness of Low Prices.